Difference between revisions of "Talk:Haskell"
The Haskell Wiki includes a bunch of useful information. I think we can still improve on how easy these information are available. The current front page is too packed for my taste. The side bar for example contains over 50 links. Compare this with the Python and Ruby homepages with around 10 major links. Regareiding the [[http://www.smashingmagazine.com/2007/10/09/30-usability-issues-to-be-aware-of/|rule of 7]] we should reduce the information we present on the front page. Who are our visitors and what do they want? ** How does Haskell look and "feel"? ** Why should i care? ** Who else i using Haskell? ** Where can i read some tutorials? ** Where can i read the API documentation? ** What is going on in the Haskell comunity? ** Where can i read about Haskells's future? 4 Question Concerning Who's using Haskell? 10 Search with Hoogle box? The front pages says "Find a library" and links to Hackages which lists "packages". To reduce confusion, i think we should settle to the usage of only "packages". Opinions? The Haskell Wiki includes a bunch of useful information. I think we can still improve on how easy these information are available. The current front page is too packed for my taste. The side bar for example contains over 50 links. Compare this with the Python and Ruby homepages with around 10 major links. Regareiding the [of 7] we should reduce the information we present on the front page. How does Haskell look and "feel"? Who else i using Haskell? Where can i read some tutorials? What is going on in the Haskell comunity? Where can i read about Haskells's future? May I add it on the Headline section or somewhere else on the front page, this week ? Or should I make an English page for this (long) text ? Question Concerning Who's using Haskell? Haskell is used at Bacau State University (www.ub.ro) by Lect. Drd. 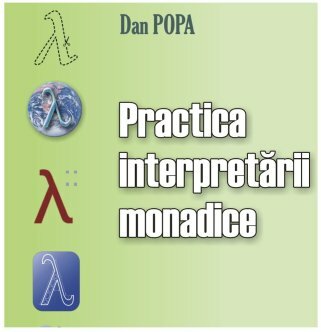 Dan Popa as a tool for DSL (ak. domain small languges) building. Also, DSLs like Rodin are used as tools for teaching "Fundamentals of Programming Languages". If no remarks will be made during this week I will consider such news as acceptable and accepted the first page of www.haskell.org . With no votes against them. THE EduSoft URL is: www.edusoft.ro NOT edusoft.com. You can see it in the Ro/Haskell page ! See the details. Thank you for other (wellcome) corrections. Maybe the "learning" section should be improved? As it is none of the links under it are extremely useful. Maybe they could be concatenated and split up into "tutorials" for mere mortals, and papers which probably aren't as useful to the newbie? Also, an idea is to redesign to have the news section up in front and visible. The more important items in HWN etc. could be put here (significant new libraries etc). After all, most people are very web-centric these days so using the Haskell.org site as a general announcement page is probably a good idea if it doesn't get too cluttered. I've made the "Haskell : A purely functional language" smaller now, so its more inline with with python.org, and perl.org logos. My model is python.org, I think our img header should be only a bit bigger than that. 2. align the circle and text logos. So we just need to work out how to do steps 2 and 3. This is not even very much like a paragraph. Turning that <p>...</p> into a <div>...</div> would fix this. Testing these changes in my own copy, in Internet Explorer 6, Firefox 2 and Konqueror 3.5.5, I observed no ill effects (and a nice lambda effect when the image was unavailable in firefox, konqueror and some text-only browser). And the W3C HTML validator was happy and the CSS validator (which relies on the XML correctness) worked.